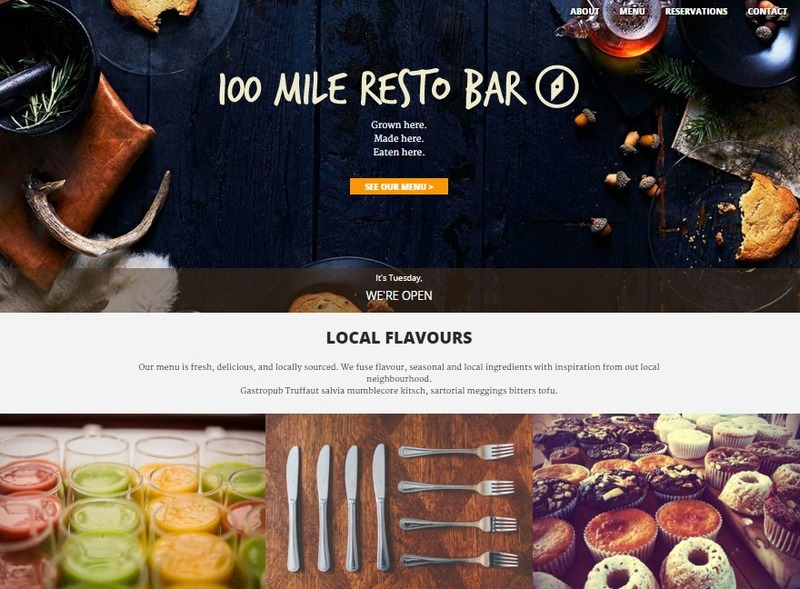 Responsively designed one page website using a mobile-first approach for Restaurant client – 100 Mile Resto Bar. Optimized for 3 screen sizes: mobile, tablet and desktop. HTML5, CSS3 (e.g. 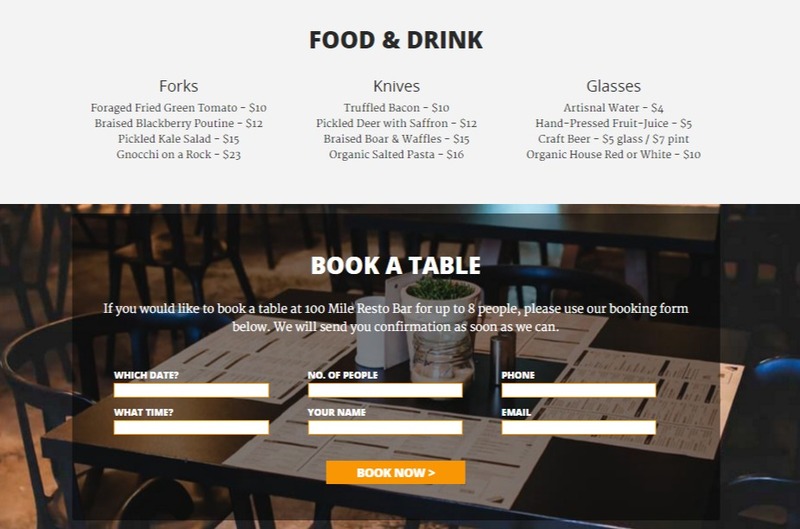 opacity, border-radius), image slider jQuery plugin ( bxSlider), smooth scrolling menu.